Skunks are most well known for their smelly defence mechanism, but these critters are highly susceptible to rabies and also destructive diggers. 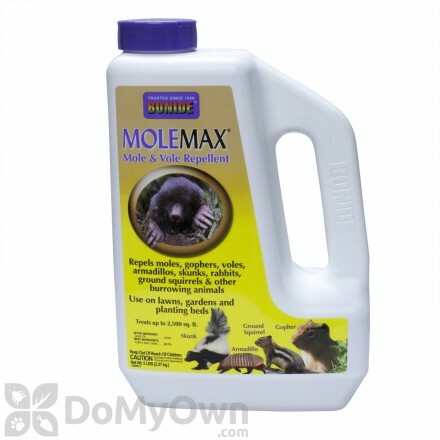 You can safely remove skunks from your property yourself with our selection of skunk control products. 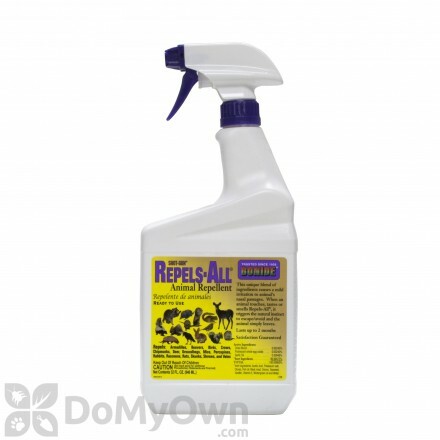 These are the same products the professionals use to capture, remove, and repel skunks away from yards and buildings. 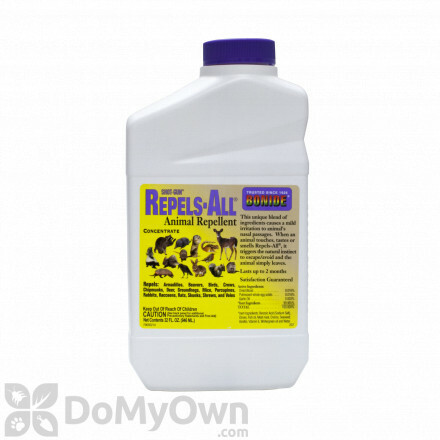 A ready-to-use animal repellent made from all-natural ingredients but repulsive to vermin and other undesirable pests. 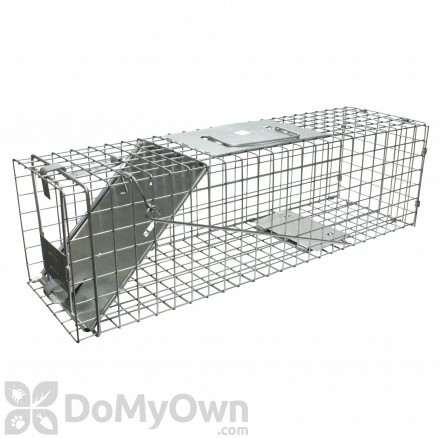 A professional live trap for skunks, opossums and other similar sized animals, and features an easy rear release door. A Original Series Rigid Live Trap with One Trap Door and Easy Release Door--extra long for cat, rabbit, skunk & similar sized animals. A professional excluder for cats, rabbits and skunks that is easy to use to any entry point to a home or building. The E70D has a rear door that lets you use the trap as either an excluder OR a trap to catch excluded animals. WCS Rosebud Skunk Paste Bait is a reliable product that works great with WCS's traps. Skunks are, next to raccoons, one of the most easily recognizable wildlife animals. Most often you will see the striped skunk on the edges near a water source or near woodlands, along fences, farms, and often in lawns, cemeteries, and golf courses. Skunks use burrows abandoned by other animals like muskrats, foxes, badgers, and woodchucks or use any cover as den sites. They only have one litter a year, with four to eight young in each litter. These striped critters will dig in yards and golf courses, causing annoying holes that can ruin grass. Skunks are omnivores, and they dig for grubs, larvae, and roots. They will also eat mice, rats, and other small rodents, berries, grains, and garbage when in urban environments. These animals are nocturnal, most often seen at dawn and dusk, and are docile and avoid conflict. Measures for skunk control are very similar to raccoon or opossum control. Habitat modification, exclusion, and trapping are the general methodology of getting rid of skunks. Reducing food sources will make your yard or property less attractive, so try to reduce outdoor rodent populations, don’t store pet food outdoors, control grubs in lawn, and secure garbage can lids. Remove all possible shelter materials, including wood and brush piles, tall grass, dense vegetation, and fill any old animal burrows. Seal all openings, especially under decks and stairs. 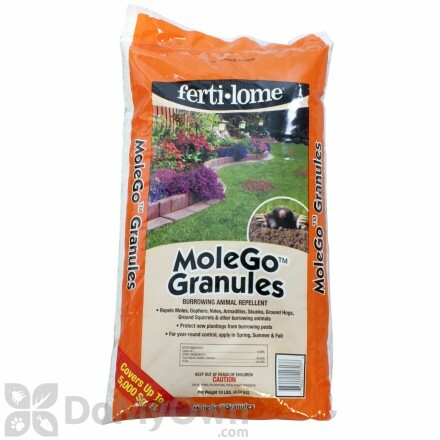 Use fine mesh and bury at least 12-18 inches under ground, in an L shape facing away from the structure to create a barrier that the skunks can’t dig under. This is also effective in keeping raccoons and rabbits out. You can also use sheet metal or concrete to create barriers. An aboveground fence can also be installed; place fine chicken wire along the bottom, burying it a foot down in an L shape away from the fence. Repellents should only be used as part of an overall skunk control program, so trapping is the best way to get existing skunks out of your yard or property. 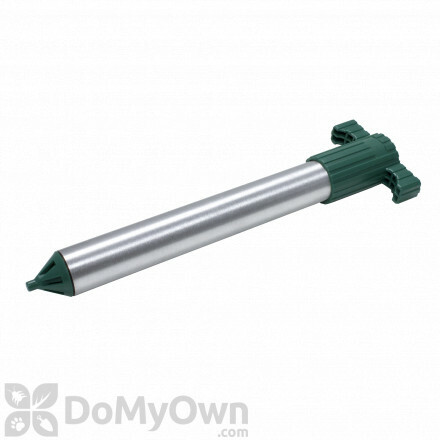 We sell many effective skunk traps to help you get rid of skunks safely and quickly. Always check the laws in your area; it may be illegal for you to transport a skunk away from your property. Use live traps and bait them with canned or fresh fish, cat food, and peanut butter. Sometimes cats get trapped in urban environments, so use mayonnaise, dried fruit, peanut butter, honey or molasses on bread instead.